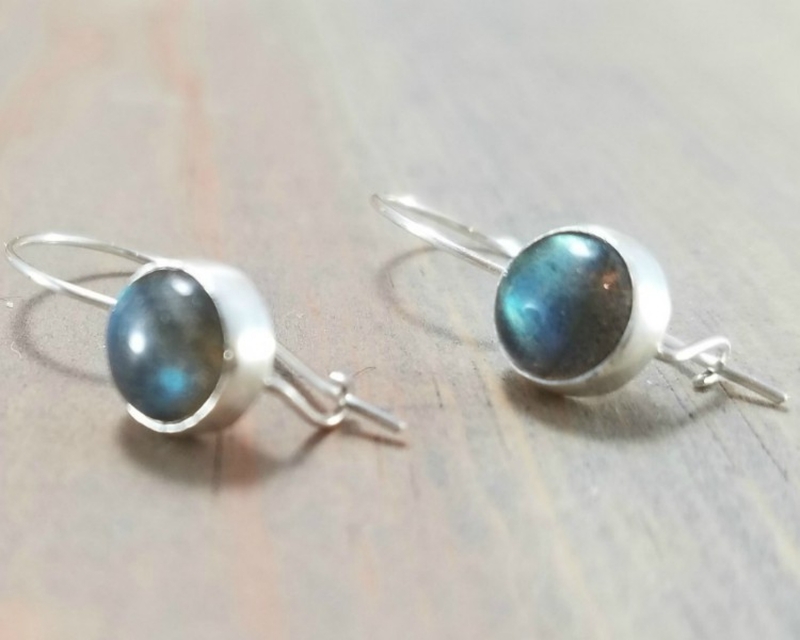 Small locking labradorite earrings set in sterling silver catch the light and glimmer. 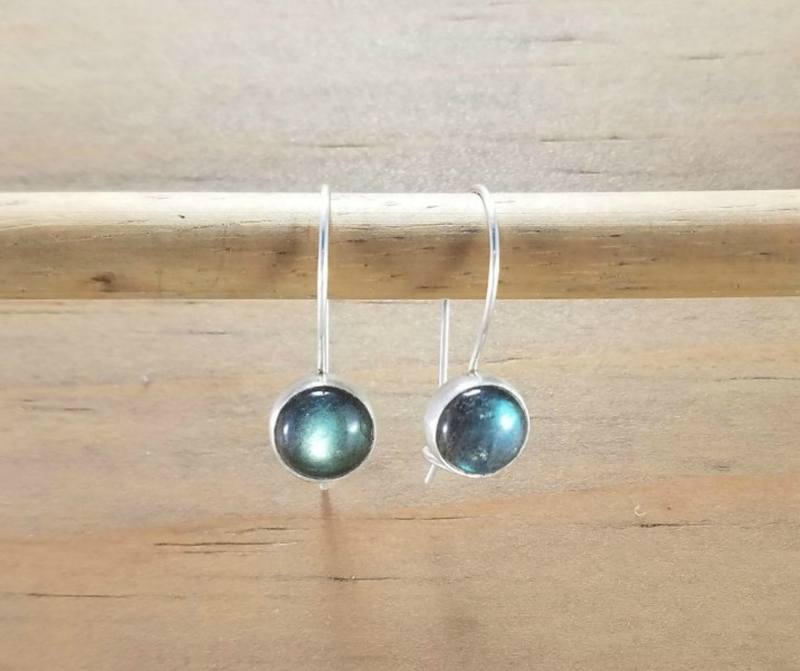 The iridescent stones look blue, gray or green depending on how the light hits them. Add a little sparkle to every day! 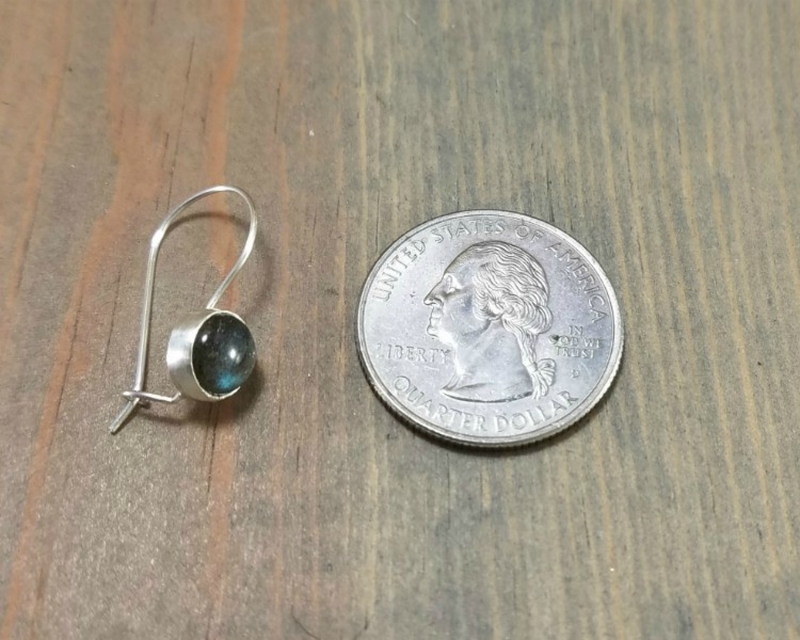 Drop earrings measure 3/4 inch (1.9 cm) from the top of the ear wire to the bottom of the bezel. 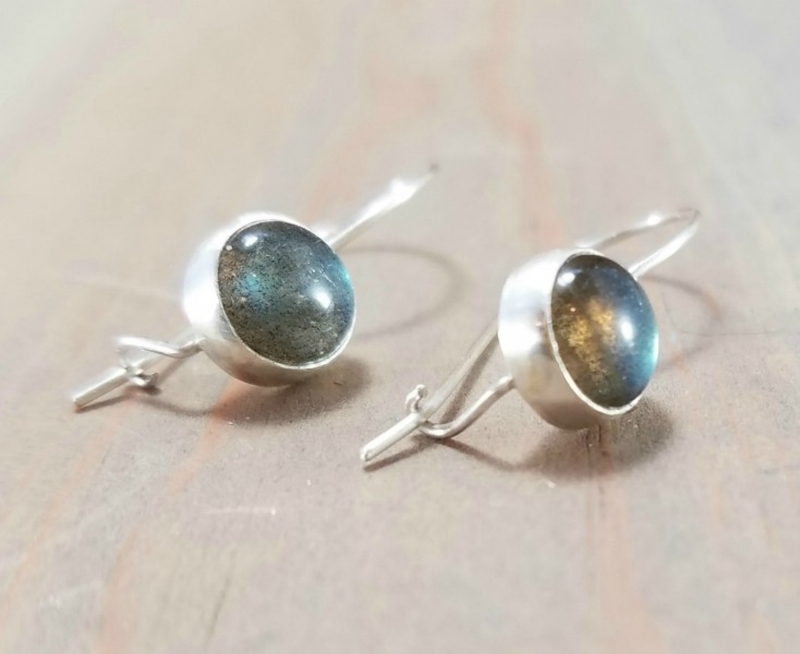 Each pair is hand formed do dimensions may vary slightly and all stones are unique. 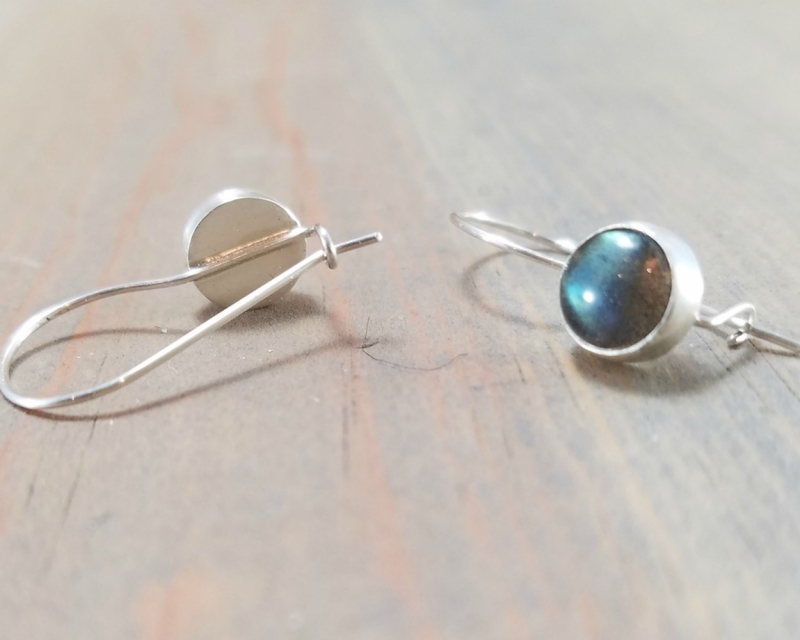 These cabochon earrings with the thin locking latch back ear wires are very comfortable to wear.